Residents in County Durham will be asked for their views on devolution when a county-wide poll begins this week. The results will help to inform the decision over whether Durham County Council agrees to sign a final North East devolution agreement. The agreement would see more decisions made locally and £30m a year additional funding made available to help bolster the region’s economy. It would also see the introduction of a regional elected mayor. People are being urged to take part in the poll, which includes four questions and can be returned by post or online. Information packs and poll papers will be delivered to all those registered to vote in the county between Wednesday 13 January and Monday 18 January. The packs and questions have been compiled by Durham University and the poll is being conducted by Electoral Reform Services. All replies must be returned by 5pm on Monday 8 February and a decision on whether County Durham will sign up to a final devolution agreement is expected to be made by the end of February. 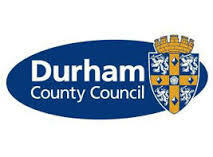 Cllr Simon Henig, Leader of Durham County Council, said: “The proposed devolution agreement would change the way a number of key decisions are made in the North East. “It would see more decisions about our economy, transport, jobs and housing development being made in the region instead of in London. “Devolution would also see the introduction of a regional elected mayor, who would chair the North East Combined Authority. The proposed devolution agreement was negotiated with Government by the North East Combined Authority, which is made up of the seven councils covering Gateshead, Newcastle, North and South Tyneside, Northumberland, Sunderland and County Durham. 1. The Devolution Deal would mean that more decisions about spending on public services would be made in the North East, rather than by the Government in London. • Be a step in the right direction? • Make little or no difference? • Be the wrong thing to do? • Has quite a lot of power and influence – perhaps coming to be seen as someone who represents the voice of the North East area? • Has limited power and influence—someone who chairs the Combined Authority but does not have a major role representing the area? 3. The Devolution Deal would only cover some issues – some aspects of business support, post-16 education and training, transport, and housing. If the Deal does go ahead, do you think we should then try to get additional powers and resources devolved to the North East?